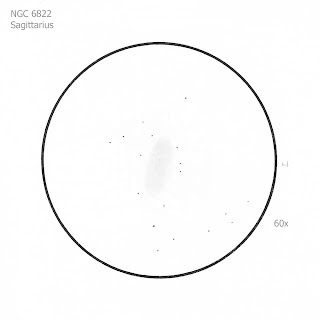 So you want to do deep sky observing? I was going through old observing note books to scan in my sketches for my new website and I came across some from my observing trip to Australia in 1997. Those brought back some exciting and magical memories! I have decided to share some of the best ones here, as well as in their categories on my web site. Click each image for a larger view. 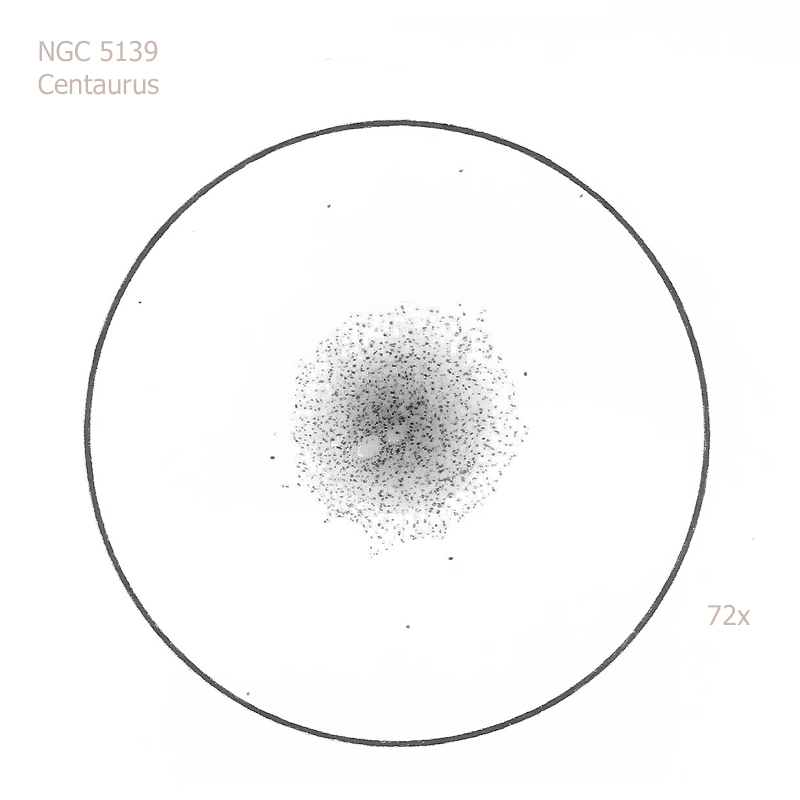 NGC 5139, the great Omega Centauri. 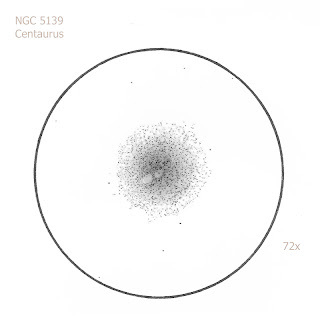 This ‘King of the Globular Clusters’ can be seen from southern Europe and the southern United States but has to be seen from the Southern Hemisphere in order to appreciate it in its full glory. I looked at this wherever I went during both trips Downunder, from South America and also each time I have gone far enough south in the Northern Hemisphere to see it. It’s huge, slightly elliptical and has a curious footprint-shaped area of less star density or obscuring dust, just off-centre. Spectacular. 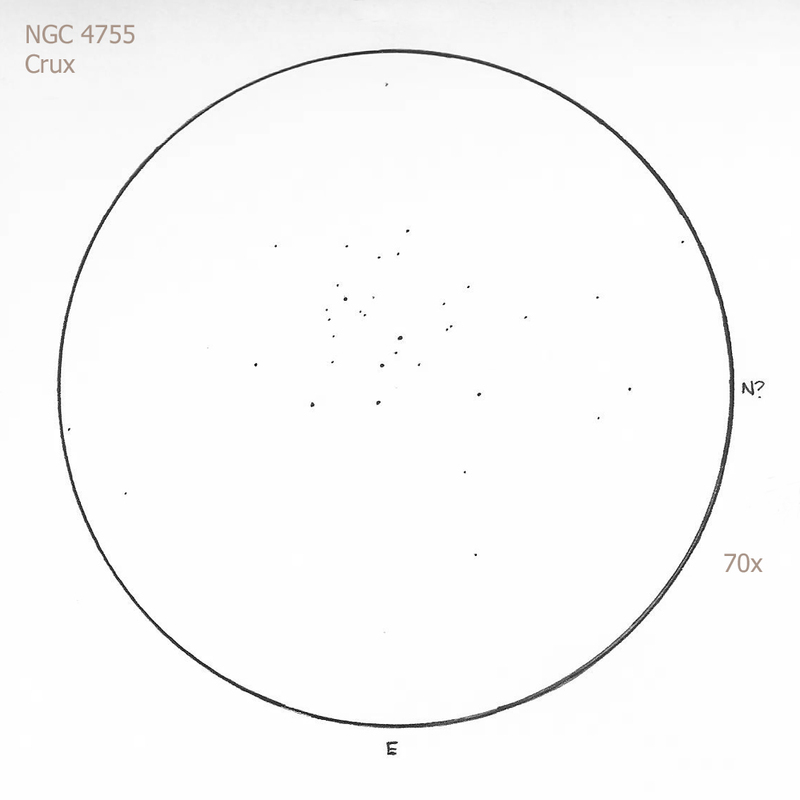 NGC 4755, the Jewel Box cluster in Crux. This is my favourite star cluster, shaped like a capital ‘A’ and made up of blue and white stars of varying brightnesses but with a conspicuous red giant at the centre. 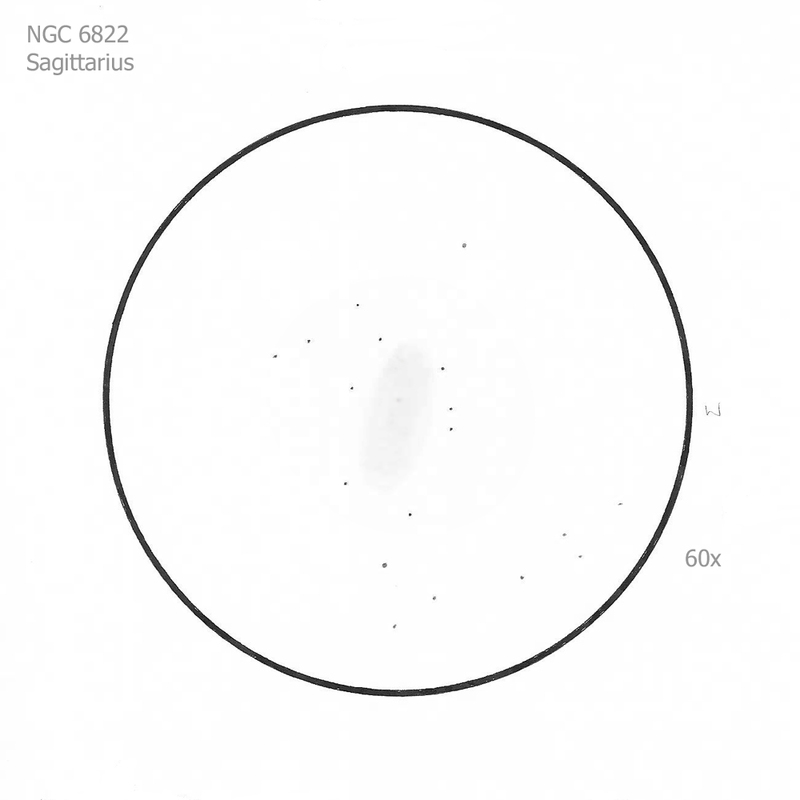 NGC 6822, galaxy in Sagittarius. 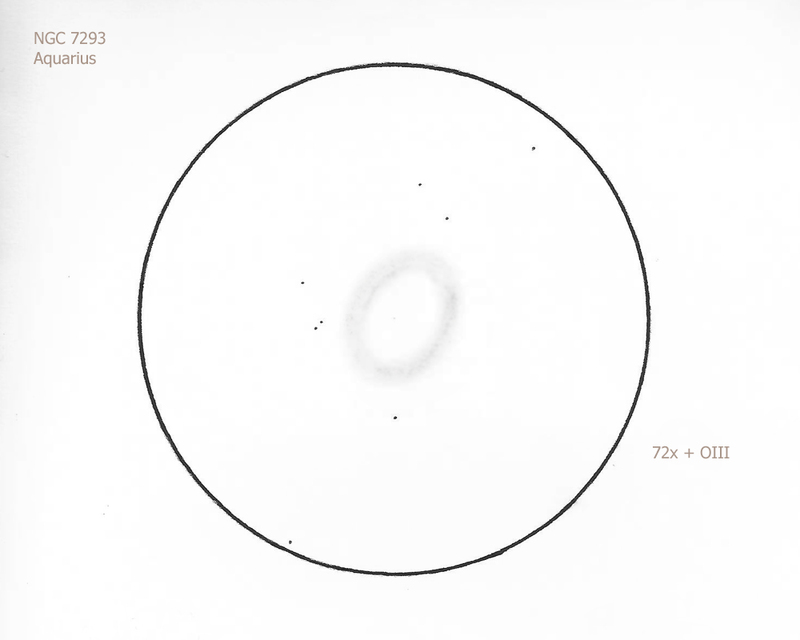 This is Barnard’s Galaxy, a faint dwarf galaxy. 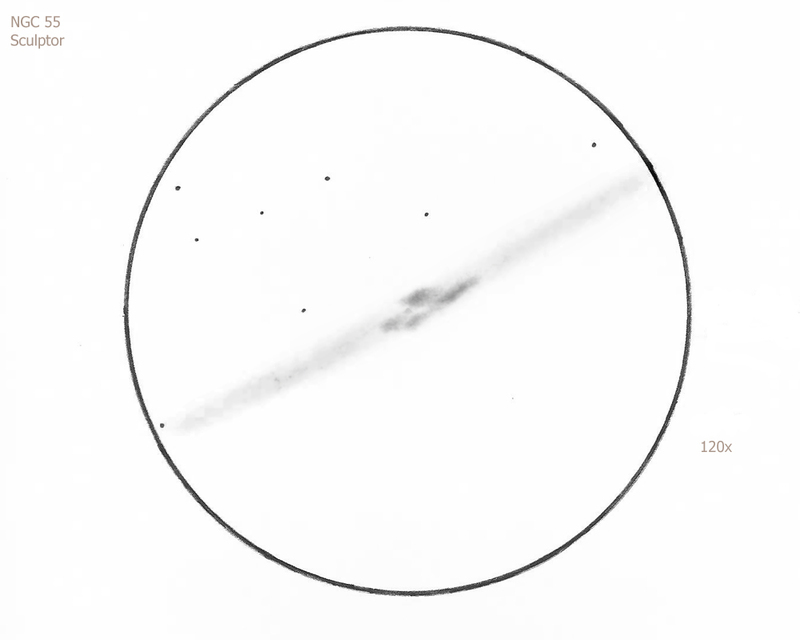 The galaxy was a faint elliptical glow, quite faint against the background sky. 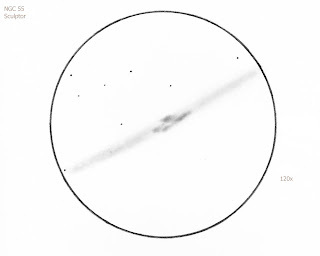 Elongated 2:1 north-south with no central brightening. 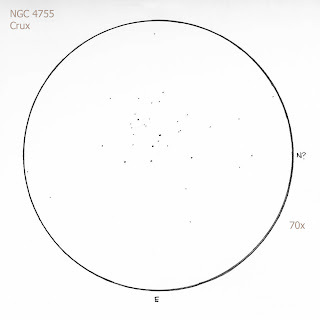 NGC 55, galaxy in Sculptor. At -39 S, this is too low to be seen from England, even from the IW (our theoretical cut off is -40 but with atmospheric extinction, not a chance). Huge elongated galaxy with a very bright, mottled core. Only just fits into field of view at 120x. I made two separate observations of this. One was from a rural site, the other from an urban one. Needless to say, I saw the nebula without an OIII filter more easily from the countryside than I did with a filter from the suburbs of Brisbane, where it was invisible. It was also 1st quarter Moon when I saw it in the suburbs. 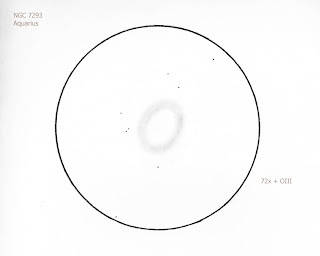 Very large, oval ring with a low surface brightness and diffuse outer edges. No central star seen. Drawing made at the suburban site. This entry was posted in Australia, Galaxies, Globular Clusters, Observing, Open Clusters, Planetary Nebulae on July 8, 2010 by FJA.